There is absolutely no doubt that jewelry is one of the best gifts you could buy a girlfriend or wife. Just remember that some jewelry isn’t going to cut it. You need to go above and beyond to ensure that you choose a piece that is going to meet your girlfriend’s expectations. Suffice to say, there are plenty of things you need to take into consideration to get it right. So, what factors are important? You’ll find out in the comprehensive guide provided below. First and foremost, you should find out what type of jewelry your significant other actually wears. Some women absolutely love bracelets. Other prefer rings. With that being said, you need to choose the one that your girlfriend or wife is actually going to prefer. If you do not, you might buy her something that she isn’t going to wear at all. That would waste your time and your money. With that being said, you should already know her better than anyone else. You should know what type of jewelry she prefers. Go from there and you’ll be fine. There is no doubt that jewelry can be very expensive. This is something you’ll need to remember when you’re trying to buy a piece for your significant other. How much can you really afford to spend? At the same time, you should consider insurance. 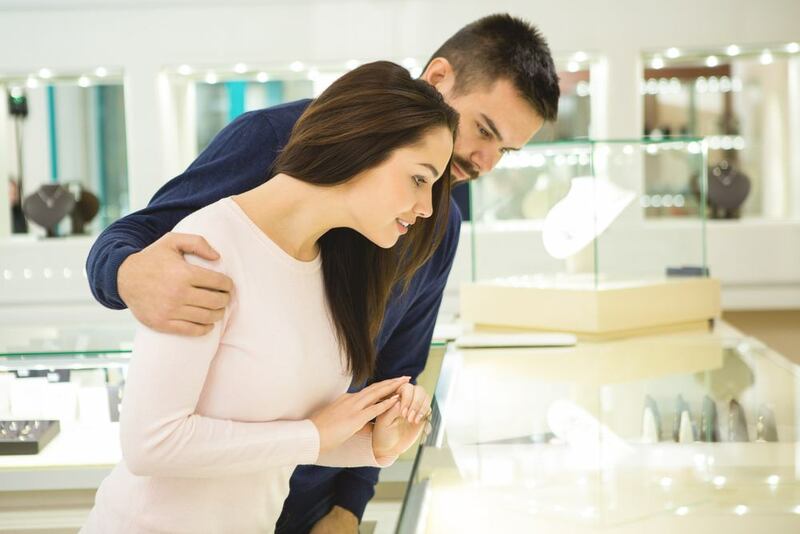 Should you insure your jewelry? Insurance might be a little costlier, but it’ll prove to be well worth it in the long run. Either way, figure out how much you can spend before moving forward. Jewelry is available in an abundance of different colors. You can choose from many colors of gold. At the same time, there are plenty of unique gemstone colors to select from. With that being said, you should take the time to consider your girlfriend and the colors that she will prefer. What colors will she like the most? Again, you should know her better than anyone. Therefore, it is entirely up to you to find up the answer. Just remember that it is generally a good idea to choose a color that matches her skin tone. Do that and you can guarantee that she’ll be satisfied with the end result. Whether you’re buying a ring, necklace or bracelet, you need to make sure that you’re going to get the perfect fit. If you do not, she might end up losing the jewelry at some point in the future. Or, she might not be able to wear it at all. With that being said, you should look at her old jewelry to get an idea. If you’re not trying to keep it a secret, you should just ask her to be positive. Ultimately, your options are endless. Take your time and consider all of your options. At the same time, you need to think about your girlfriend’s wishes and preferences. As long as you take these things into consideration, you can guarantee that she’ll love the jewelry you buy her!